Treat skin discoloration and dark patches with natural ingredients. 1 What Skincare Products Contain Kojic Acid? 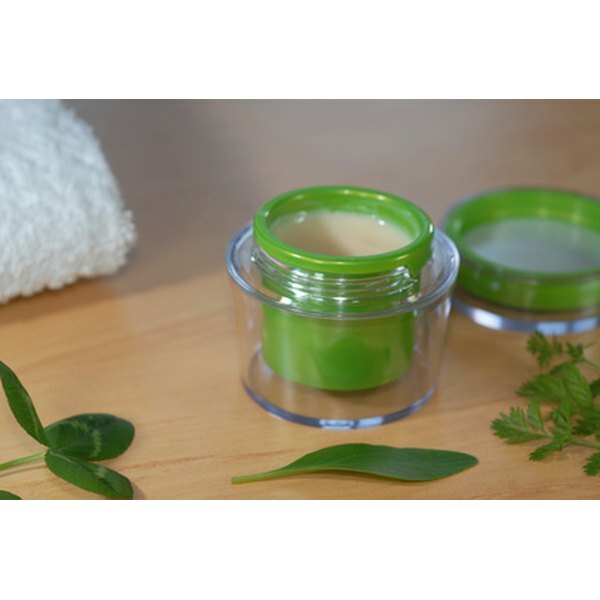 There are a number of natural ingredients that can be used to treat skin discoloration and dark patches on the face. Home remedies for this type of problem may take several weeks to several months to be effective. Lemon juice, orange juice, onion, castor oil, honey, milk, almond paste, tomato juice and more have been used to correct skin discolorations and dark patches on the face. According to the Mother Nature website, lemon juice, onion and milk act to peel away the surface of the skin, which can lighten age spots. Castor oil can reduce the appearance of discolorations by moisturizing the surrounding skin, which is often dry and flaky. Most home remedy recipes for skin discolorations involve one or two ingredients mixed together and applied to the discolored spot one to three times daily for at least a month. Several months may be necessary to see substantial results. While most home remedies use natural ingredients that are generally safe, there are some, such as lemon juice, that can irritate the skin. Discontinue using any ingredient that causes a reaction. Lemon juice also makes the skin more photosensitive and susceptible to sunburn. Sun protection is important while using skin-lightening home remedies. Julie McMurchie has been writing family-related articles since 1990. Her work has appeared in "The Pony Express" and "California Kids Magazine." She studied composition and creative writing at Riverside Community College.